Another Augmented Reality post - this time it's McDonalds in France with Augmented Reality Star Wars Happy Meals! 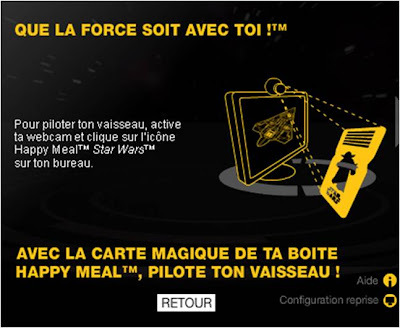 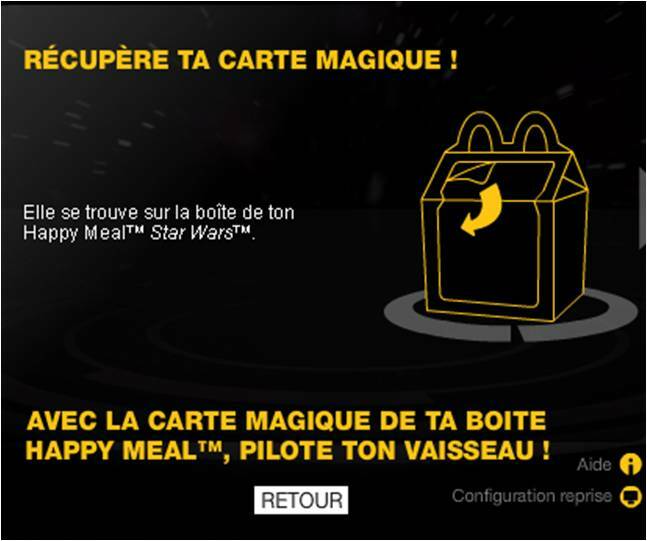 The Augmented Reality Happy Meal box has a tear off card and if presented to a Webcam at the Star Wars Happy Meal website, the user can play a Star Wars / McDonalds AR game. 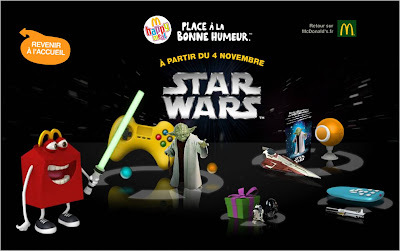 The AR Star Wars game is in two phases, the first is the reveal and test flight of Obi-Wan Kenobi's Delta-7, with phase two being the fight against the Slave1 spaceship. 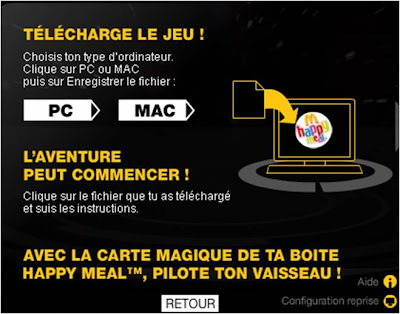 McDonalds adopting Augmented Reality on Happy Meal boxes is another example of how Augmented Reality is becoming more mainstream. 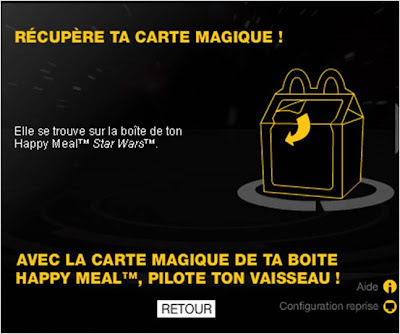 Happy Meal AR is also a great way of giving additional value to customers, but also creating a deeper 'brand experience' - yes you can play a free Star Wars game, but while you do it you are exposed to McDonalds branding long after you have left the restaurant and finished your meal. 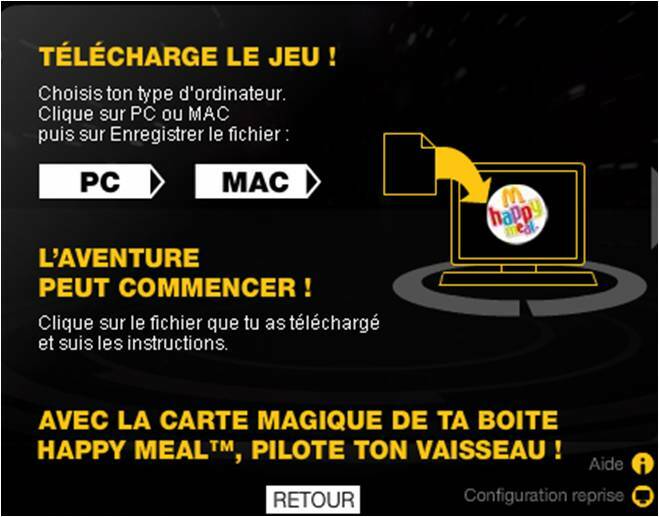 Hope this comes to the UK soon!